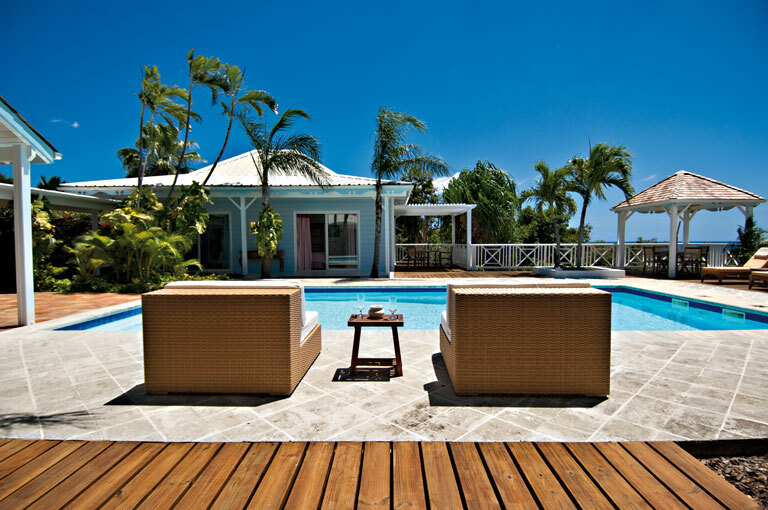 This 4 bedroom villa delights with its Creole flavor, swimming pool, wooden furniture and is especially designed for relaxing and enjoying the wonderful view of Baie Longue! 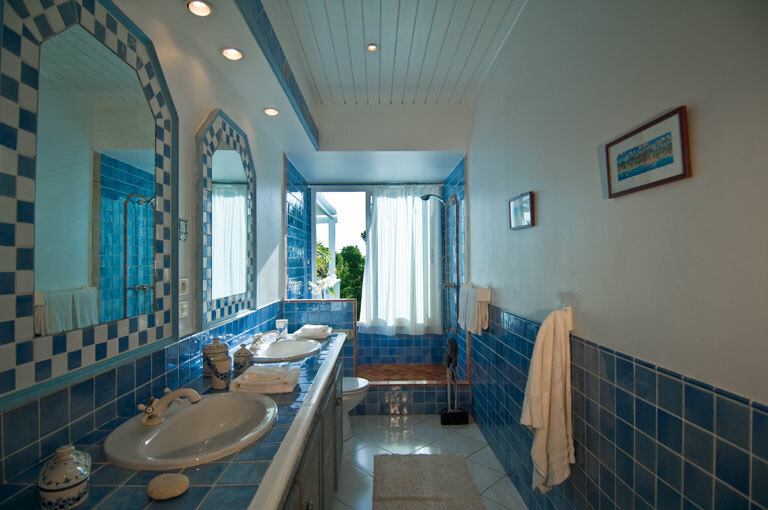 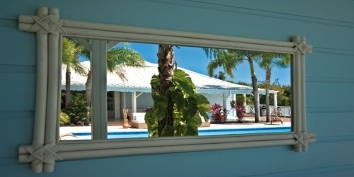 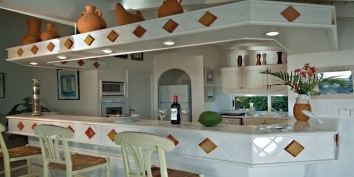 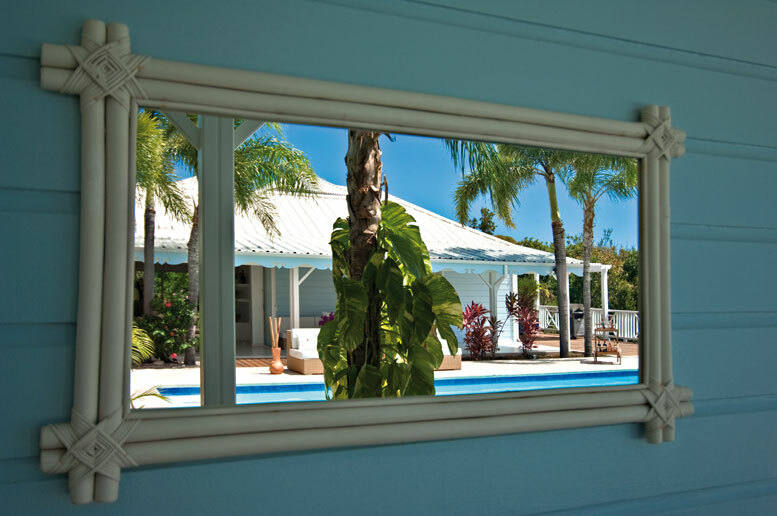 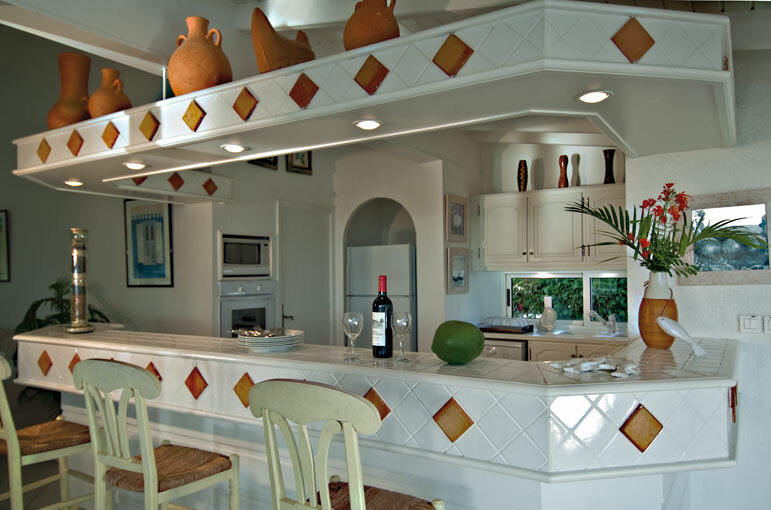 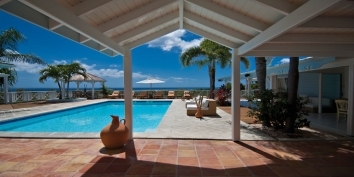 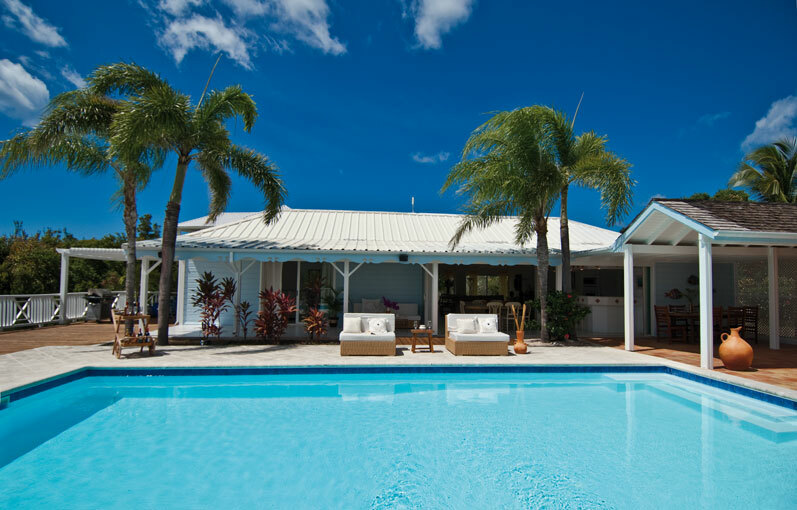 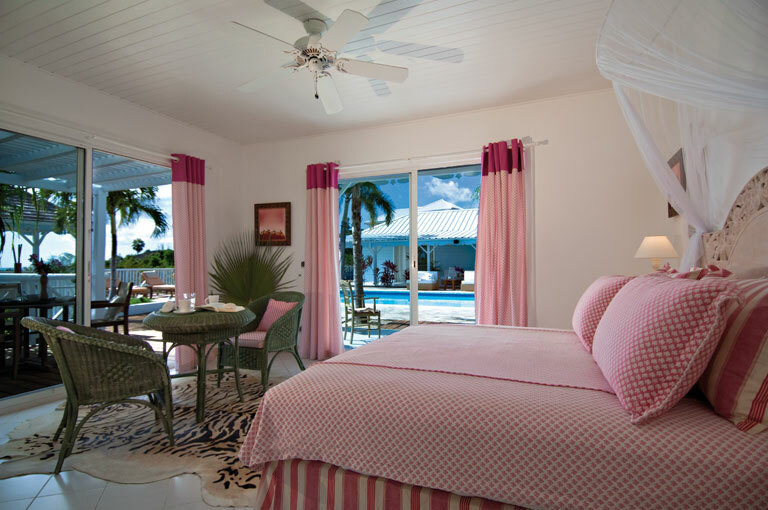 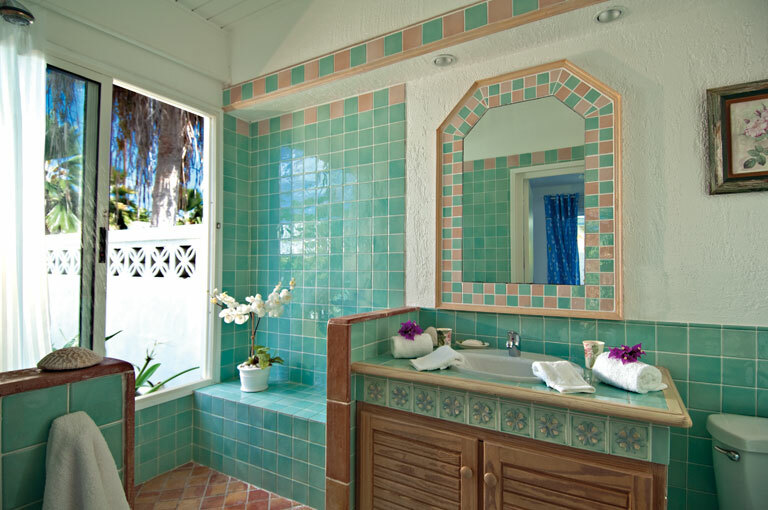 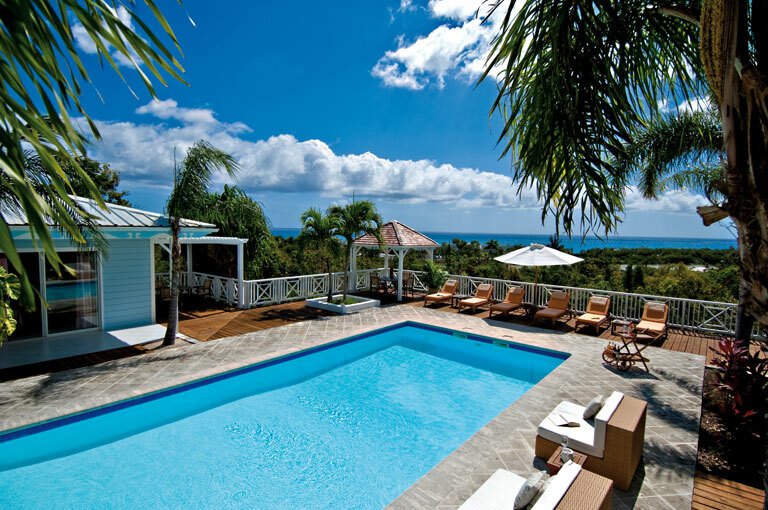 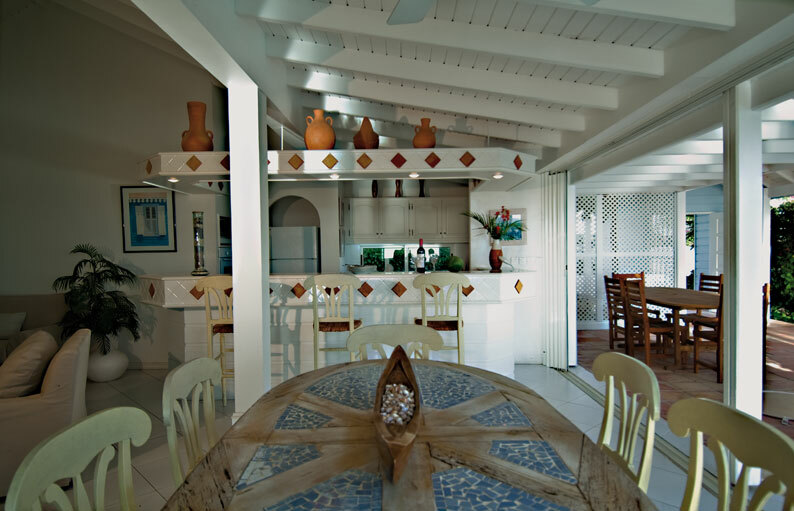 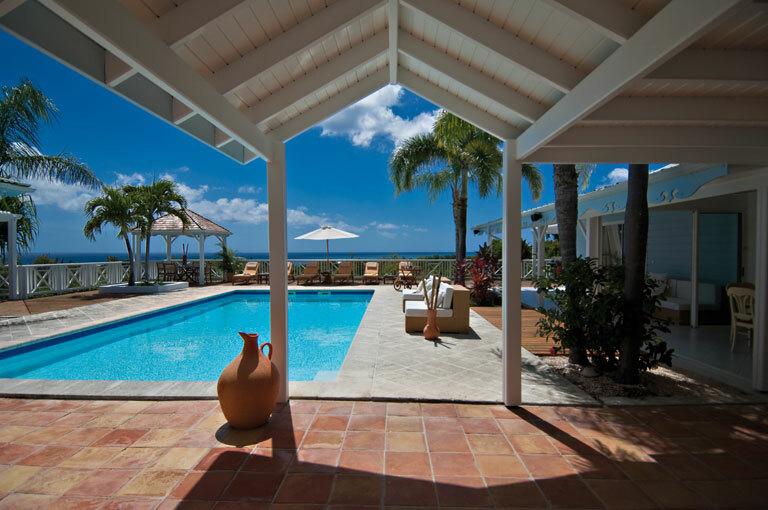 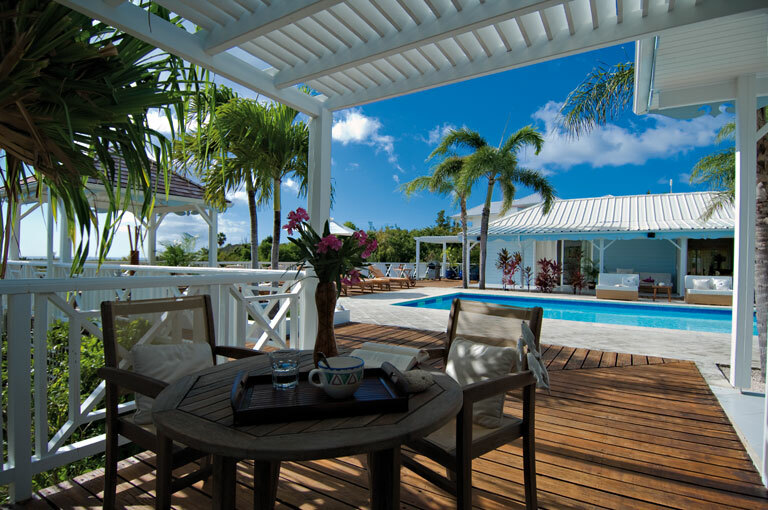 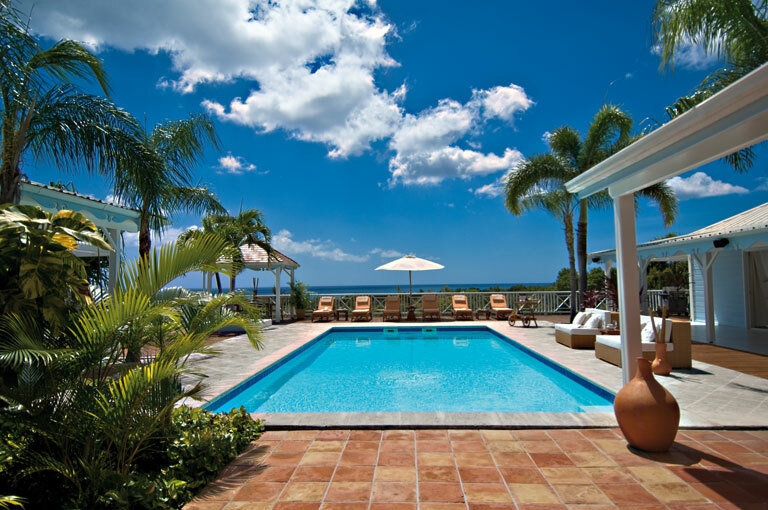 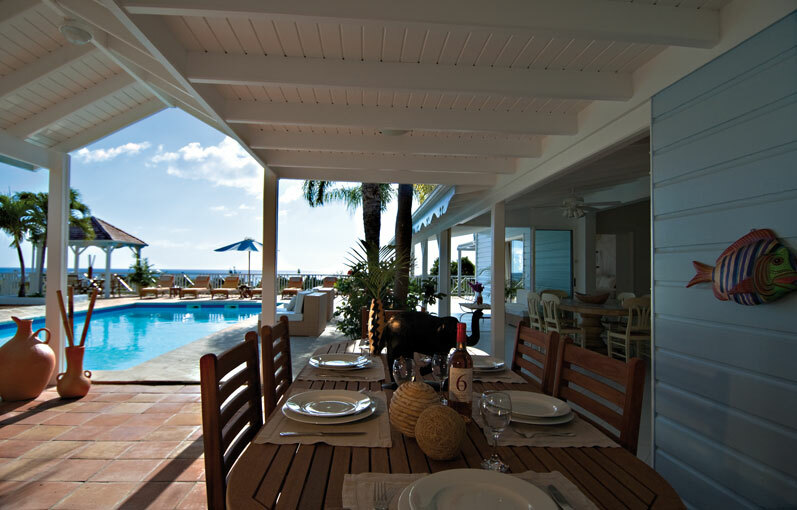 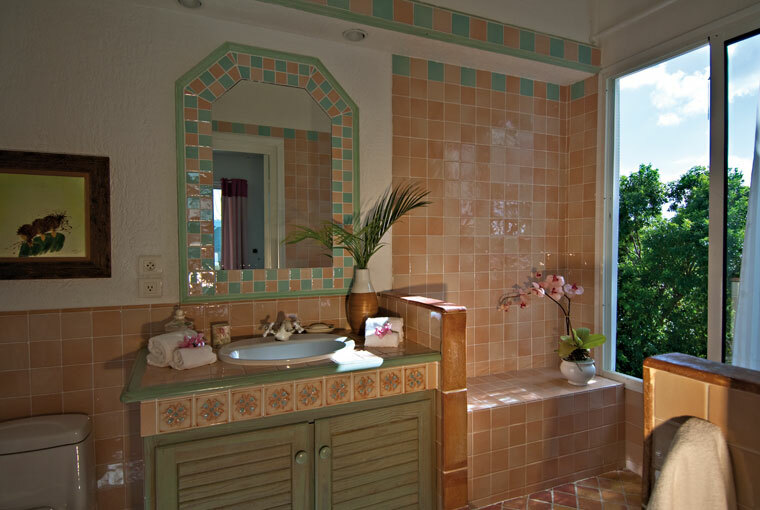 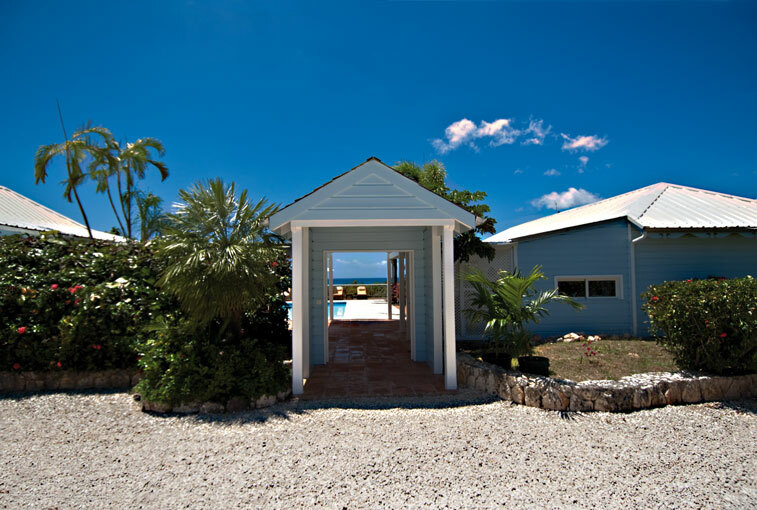 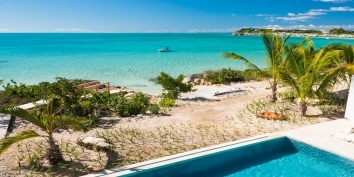 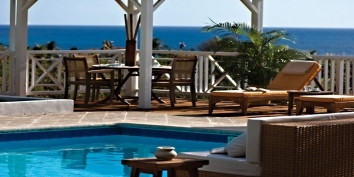 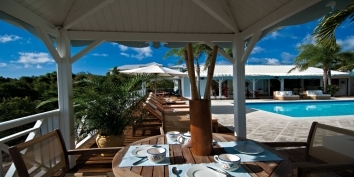 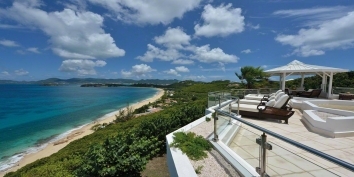 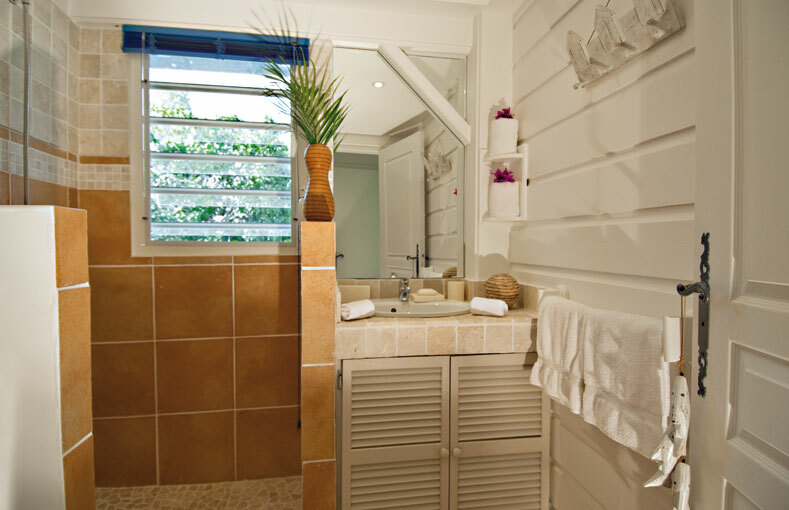 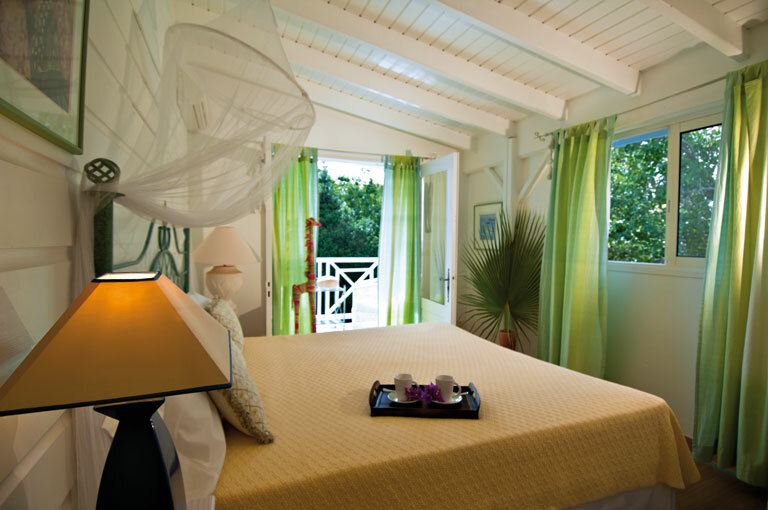 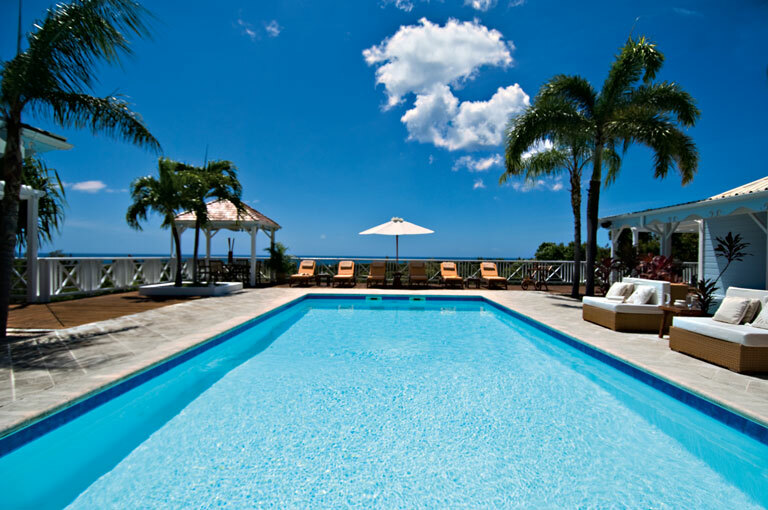 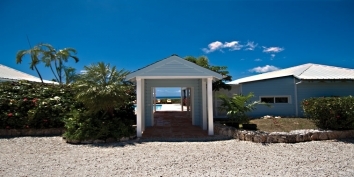 Jacaranda is a hillside villa rental with a Créole flavor and a wonderful view of Baie Longue (Long Bay), Saint Martin. 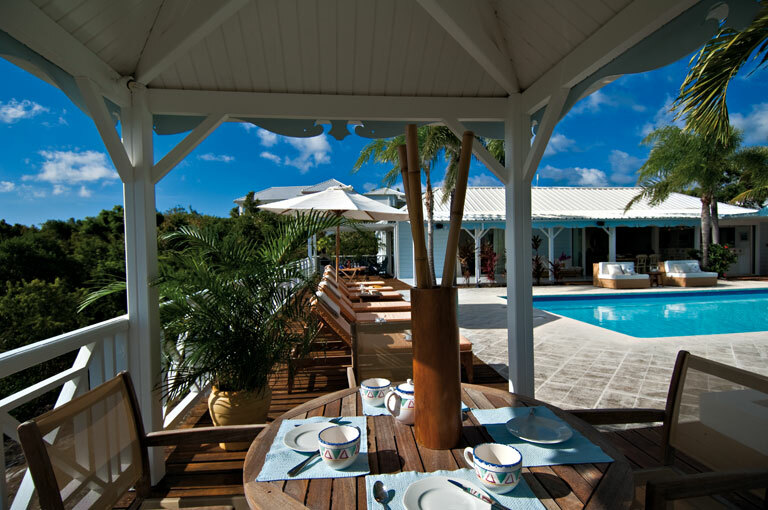 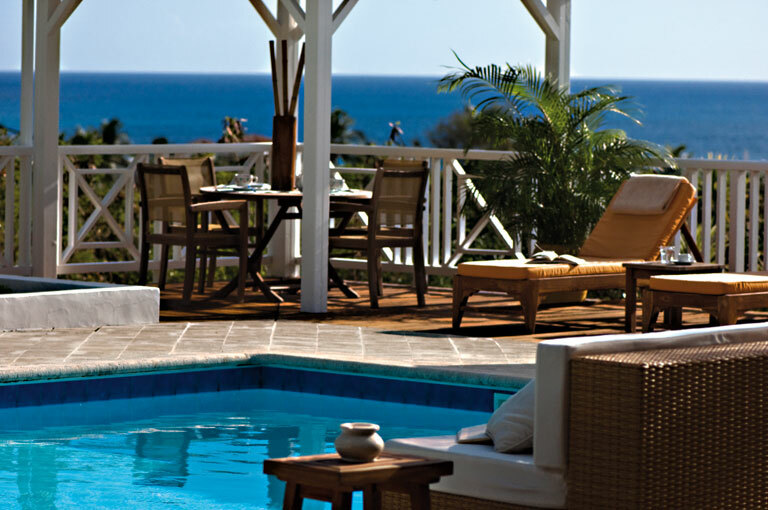 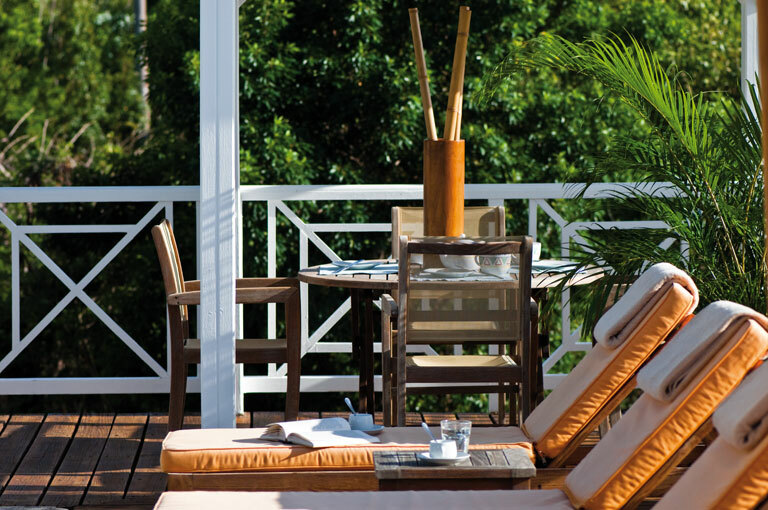 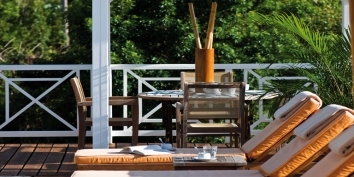 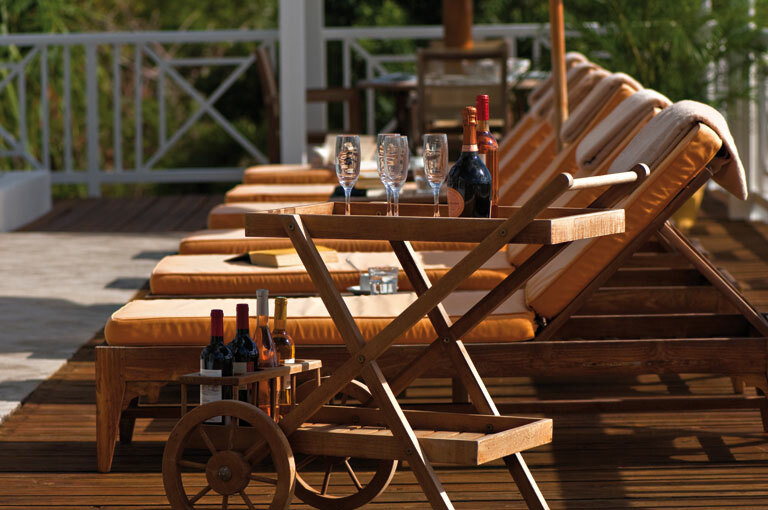 When the Caribbean sun starts to approach the western horizon, you'll want to relax with a cocktail on the spacious swimming pool deck or in the gazebo. 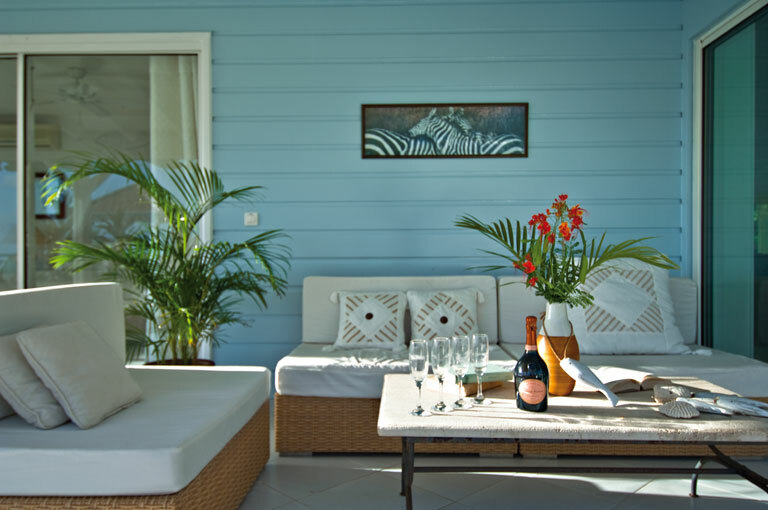 This very charming Saint Martin holiday villa has just been totally redecorated with new painting, new fabrics, new mattresses etc. 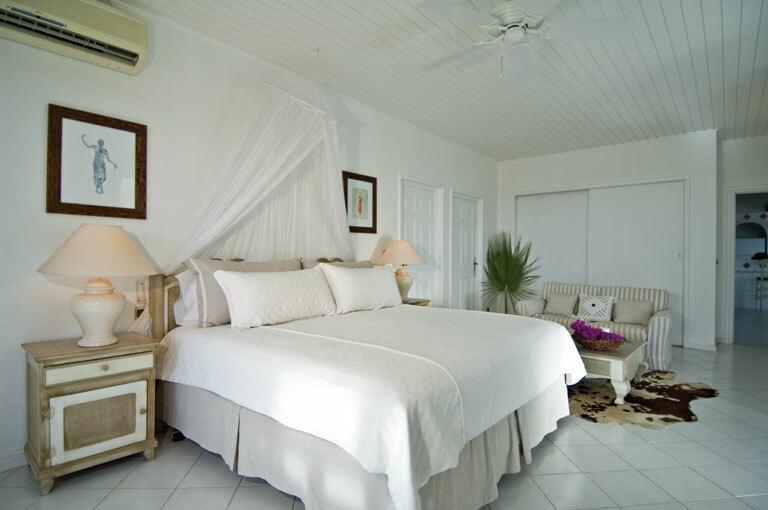 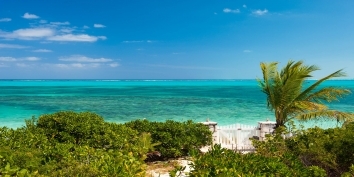 A a small, fourth, air conditioned bedroom with en-suite bathroom has also been added.Jacaranda can be rented as a 2 or 4 (3+1) bedroom Saint Martin villa rental. 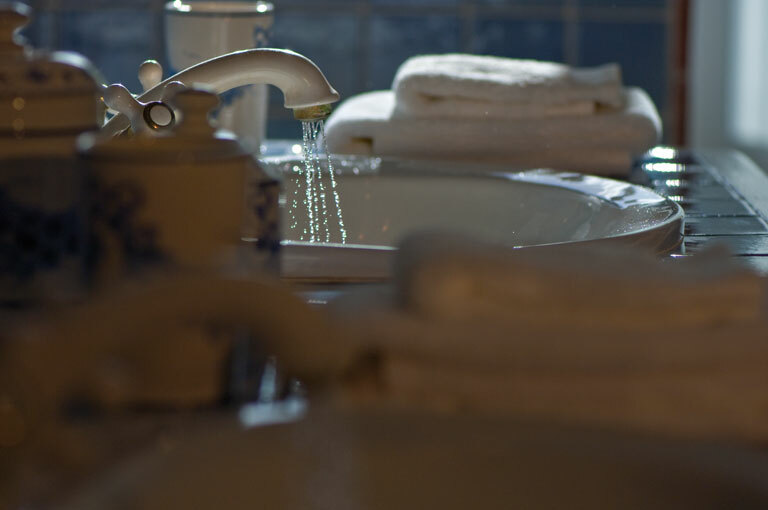 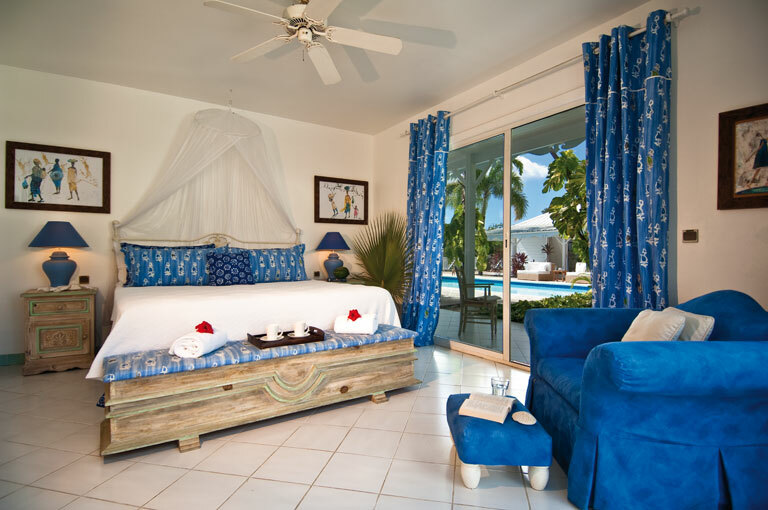 All of the four bedrooms have king size beds and private bathrooms with showers, air conditioning and ceiling fans. 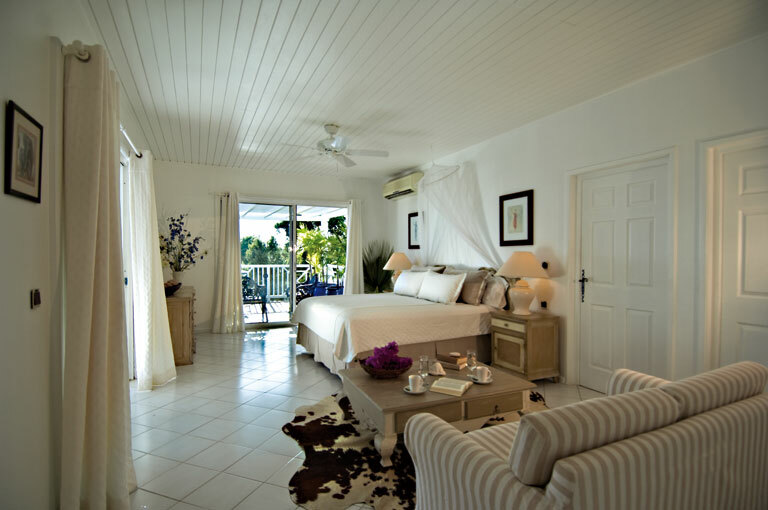 The Master Bedroom and the smaller bedroom (+1) are connected to the living room. 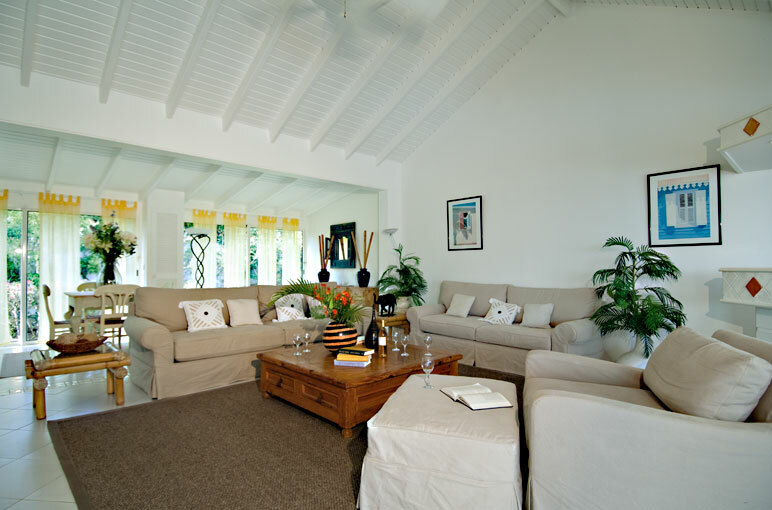 Jacaranda can be rented as a 2 or 4 (3+1) bedroom vacation villa rental. 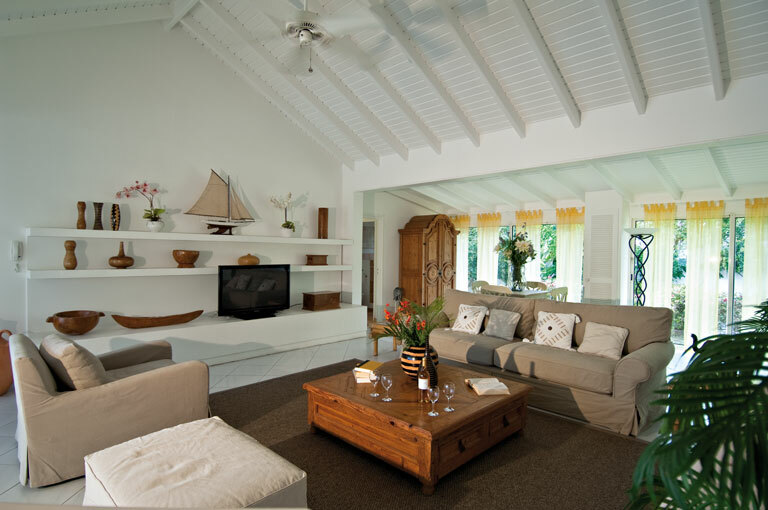 Wood/Rattan Furniture, TV, DVD, Stereo Tape/CD, Ceiling Fan.